Special Early Access to my readers for Love's Black Friday Promotion! Exclusive Black Friday Promotion for my readers! Hello my lovelies, Hope you're all doing well..It's been a while since my last post so I thought why not come back with an amazing offer for you all! 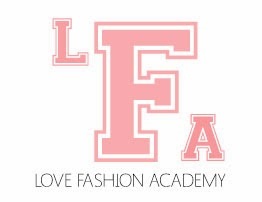 LFA also known as Love fashion Academy is a website that brings you the latest fashion that's very feminine and good value for money. They've had so many customers such as Katy Perry, The Saturdays, Fearne Cotton, Little Mix TOWIE Girls and Made In Chelsea cast. LFA have been inspired also by other fellow bloggers style and outfit building and reflects this with supporting Bloggers and giving me the chance to let you all know about their own Black Friday! If you're a shopaholic like myself, you'll know that Black Friday has become a tradition each year in America the day following Thanksgiving, This day is where most major retailers open very early and kick off promotions, pretty much like boxing day in the UK! Well the great news is that many stores online are bringing this wonderful shopping tradition to us all, and I'm pleased to let you know how you can enjoy this occasion on LFA! Enjoy this offer and have a fabulous Black Friday! New posts are coming very soon too so keep a look out.